Prime Video invites illustrators, designers, and visual artists* to create original poster artwork celebrating the upcoming release of Good Omens, a new series based on the critically acclaimed novel. Artists can draw inspiration from this unlikely duo coming together to stop the apocalypse. Before starting on your artwork, please read the “Things to Consider” section below carefully and watch the trailer below for inspiration. Artists should also include the Prime Video logo in their artwork. Five (5) pieces of artwork will be selected by Prime Video. Selected art will potentially be featured across Good Omens key social channels. The Selected Artists will receive $2,000 for each piece selected. *Residents of Brazil and Quebec are excluded. Prime Video is looking for artwork that features Aziraphale and Crowley —the unlikely duo who come together to stop the apocalypse. You may depict the likenesses of the characters in Good Omens. You should include the Prime video logo in your artwork. Artwork should be in the form of posters that can be seamlessly distributed across digital, social, and displayed at events. 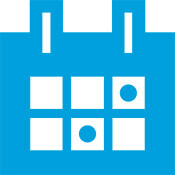 You are encouraged to check out the below socials, provided assets, and watch the teaser trailer below for inspiration. Please note that provided material is not to be used directly in your submission. 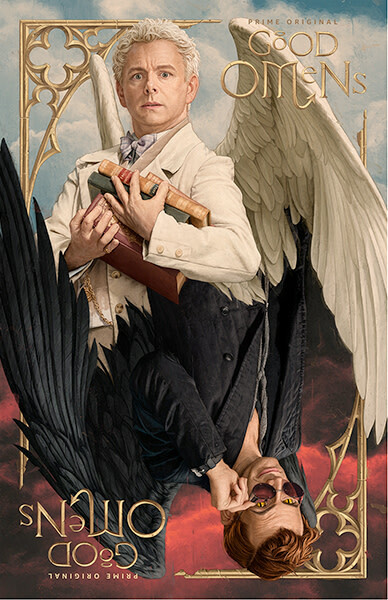 Find more inspiration to create your #GoodOmens artwork below! A 6,000-year old demon. Satan’s representative. Handsome, dashing, sophisticated human character with a penchant for fine wine and designer sunglasses. Cynical, self-indulgent and basically amoral. He considers himself more of a ‘big picture’ demon than his peers, preferring to bring a large number of souls a little closer to Satan than to completely consume one person. God’s representative. An angel of Heaven who has been on earth since Adam & Eve left Eden. Kind-looking gentleman who sartorial style runs to bow-ties. He is wise and a true lover of literature and music. He runs a beautiful chaotic used bookshop in London. He is a “field agent” for Heaven, but has a non-interference agreement with Crowley to ensure they don’t step on each other’s toes. Prime Video is a premium on-demand entertainment service that offers customers the greatest choice in what to watch - all with the ease of finding what they love to watch in one place. You can watch thousands of popular movies and TV shows in more than 240 countries and territories worldwide. In addition to Prime Video, the Prime membership includes unlimited fast free delivery options across all categories available on Amazon, more than two million songs and thousands of playlists and stations with Prime Music, secure photo storage with Prime Photos, unlimited access to a rotating selection of thousands of books and magazines with Prime Reading, unlimited access to a digital audiobook catalogue with Audible Channels for Prime, a rotating selection of free digital games and in-game loot with Twitch Prime, early access to select Lightning Deals, and more. This opportunity is open globally to those who are at least 18 years of age and the age of majority in their jurisdiction of primary residence at the time of entry except for residents in Brazil and Quebec. Void where prohibited by law. Please note, that during the Submission Period, submissions may be featured on Prime Videos' and Good Omens' social media channels with credit given to the artist. All submissions must be original artwork (meaning not using third party pre-existing copyright and/or stock materials) except for the material provided in this Creative Invite. All rights in and to the material provided are reserved by Prime Video and should not be used directly in submitted artwork. Artists are encouraged to carefully read the section "THINGS TO CONSIDER" and to watch the trailer for inspiration. 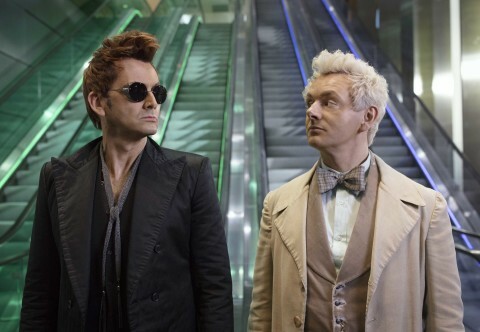 Artists may depict the likenesses of the characters in Good Omens and should include the Prime video logo in their artwork. All rights in and to the characters and logo are reserved by Prime Video. Selected Artists will have to sign a Copyright Assignment form which assigns all rights, title, and interest in and to their work to Prime Video for global usage. Selected work can still be used for artist's own portfolio purposes. Artists that are not selected will not give up any rights in the original portions of their work, however, Prime Video has the right to promote the work on their channels in connection with this Creative Invite for three (3) months after the Selected Artists are announced. All artists will be credited accordingly. Any ownership in the work is subject to and restricted by Prime Video's underlying rights in the Good Omens IP defined in the Official Rules and artists may make only personal use (e.g. portfolio purposes) of the submissions without express written consent from Prime Video; in no event, may an artist obtain a fee, royalty, advertising revenue, or any other payment in exchange for the submission. Prime Video will select from all qualified submissions. A qualified submission is one which meets all the Terms & Conditions, Guidelines, and Official Rules.